What Is the Relationship Between Nitrogen Bases & the Genetic Code? Deoxyribonucleic acid, more commonly known as DNA, has two strands entwined in a double helix structure. 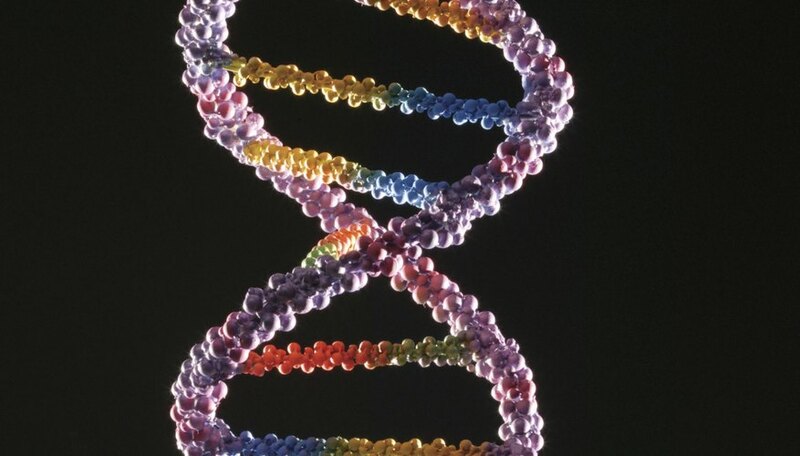 Within this double helix is the blue print for an entire organism, be it a single cell or a human being. In DNA, each strand's sequence of bases is a complement to its partner strand's sequence. 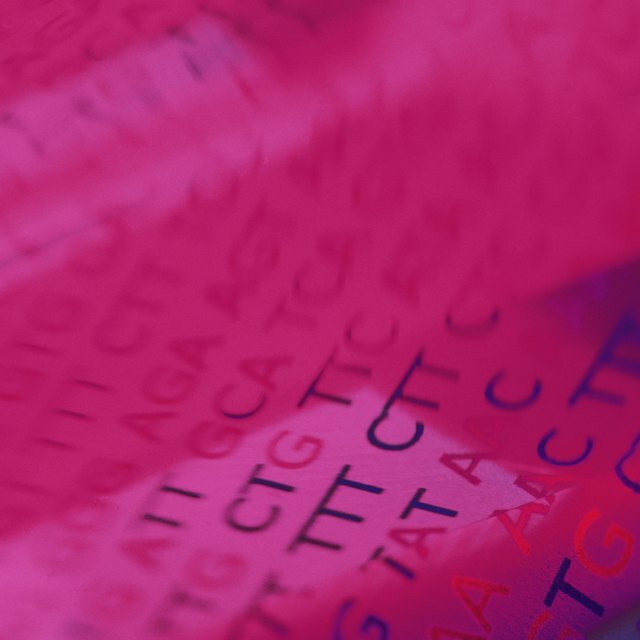 For all the complexities of DNA, everything about genetic data is contained within four different chemicals: adenine (A), cytosine (C), guanine (G), thymine (T). Also called "nucleotides," these monomers are composed of a sugar molecule, a phosphate group and a nitrogen base held together by covalent bonds. In the long strand of DNA, these four chemicals groups together into differing sequences called genes. These individual subunits of the DNA strand will dictate the physiological attributes of the organism for which the DNA is a blue-print. Each gene has a unique sequence, and number, of nucleotides. The double helix of DNA functions so that the nucleotides in each strand of DNA are not exactly the same: rather, they are complementary strands with complementary nucleotide bases. That is, each nucleotide is always matched with another, specific, nucleotide on the opposite strand. Specifically, adenine (A) will always be complemented by thymine (T) on the opposite strand and cytosine (C) will always be complemented by guanine (G) on the opposite strand. This system of complementary bases is an important part of cell mitosis, where one cell divides into two. Part of this process involves the cell's DNA, stored in the nucleus, unraveling from a double helix into two separate strands of nucleotides. These two separate strands then use free nucleotides from the nucleus to reconstruct the missing strain: each nucleotide on the existing strand, matches with its complement nucleotide. Enzymes then string these complementary nucleotides into a new strand of DNA. The result is that each strand that unraveled from a single double helix is now a complete double helix structure. McDunnigan, Micah. "What Is the Sequence of Bases on the Complementary DNA Strand?" Sciencing, https://sciencing.com/sequence-bases-complementary-dna-strand-8744868.html. 25 April 2017. What Is the Relationship Between a Chromosome & an Allele?